The stories on these pages are from people affected by dementia. My name is Wendy and I am 54 years old. Prior to my diagnosis (which was 3 years ago) I was working full-time as a Payroll Officer and I was a sole parent with my 22 year old daughter living at home. It was in my work place that I first noticed something was not right. I had been in Payroll for 18 years and couldn’t remember how to do back pay or remember the meetings that I had attended. So after becoming quite concerned about what was going on at work I went to my GP of several years. My mum’s story is a tragic one, although there was a silver lining in the end. Since I was 9 (I am currently 45) my mum, Maurine, had battled with mental health issues. She had bipolar disorder, anxiety and depression and until her late forties was an alcoholic. Where Or Who Do You Go To When You No Longer Have The Strength To Be A Carer - What Do You Do? I have tried so very, very hard to keep my husband, with Alzheimer’s, at home for as long as possible, and not place him in a Nursing Home. 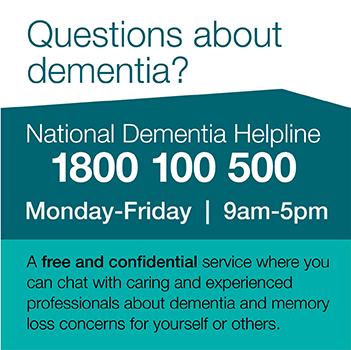 33 years ago my Mother was diagnosed with Dementia. The Doctor told my Father and me that Dementia meant Mum's brain cells were dying, and nothing could be done. She would soon be institutionalised in Kenmore Mental Asylum - a very old, lock-up facility. This left us feeling helpless, hopeless and broken-hearted over what was happening. The illness progressed as expected, with Mum "living" her last 4 years in Kenmore, not recognising me, not talking, and cared for by people who were not able to help us connect in any way. My husband was diagnosed 4 years ago with Alzheimer’s as a result of my noticing speech repetition patterns developing over a period of a few months. There are some excellent services available to people suffering from this dreadful disease but I feel that there are some areas which need addressing urgently especially in the light of the burgeoning number of cases diagnosed each year. Michael grew up in the South-West of England, living in the fishing villages of Cornwall and Devon. He enjoyed an active outdoor life. A natural ability in art took him to art college, which was then interrupted by his conscription to the British Air-Force, where he was chosen to be a Fitness Instructor. From there he was recruited to be trained in the newly developed Diploma in Remedial Gymnastics, to help rehabilitate severely disabled ex-servicemen. It has been 9 years since my father had a heart transplant giving him a new lease of life and allowing us to have him with us for much longer. Unfortunately, the drugs that suppress my father’s immune system cause him to frequently develop skin cancers even though he never ventures into the sun. He is, in fact, currently undergoing radiotherapy for a deadly melanoma known for its prevalence to those with suppressed immune systems. What makes the side effects of his medication more challenging is the fact that he has vascular dementia. I often talk with relatives of residents who believe that their loved ones are being given antipsychotic medication inappropriately, often with dreadful side effects. I care for my husband who was diagnosed with Alzheimer’s disease at the age of 63. Pre Diagnosis- We were able to holiday overseas and take a caravan to places in Australia. We had a large garden which my husband kept in very good order. He also had completed a Financial Planning diploma so was managing our finances very capably. Diagnosis Journey- The actual diagnosis took almost 2 years as we were told my husband was depressed!